Ray Chen is a violinist who redefines what it is to be a classical musician in the 21st Century. With a media presence that enhances and inspires the classical audience, reaching out to millions through his unprecedented online following, Ray Chen's remarkable musicianship transmits to a global audience that is reflected in his engagements with the foremost orchestras and concert halls around the world. Initially coming to attention via the Yehudi Menuhin (2008) and Queen Elizabeth (2009) Competitions, of which he was First Prize winner, he has built a profile in Europe, Asia, and the USA as well as his native Australia both live and on disc. Signed in 2017 to Decca Classics, the summer of 2017 has seen the recording of the first album of this partnership with the London Philharmonic as a succession to his previous three critically acclaimed albums on SONY, the first of which (“Virtuoso”) received an ECHO Klassik Award. 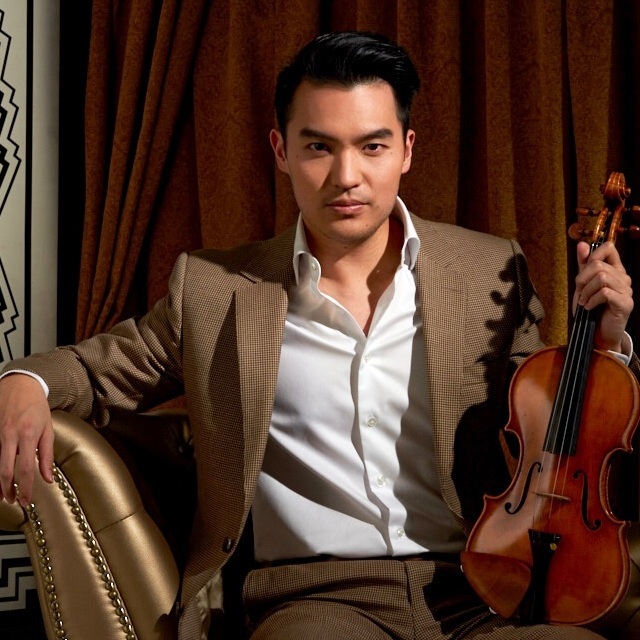 Profiled as “one to watch” by the Strad and Gramophone magazines, his profile has grown to encompass his featuring in the Forbes list of 30 most influential Asians under 30, appearing in major online TV series “Mozart in the Jungle”, a multi-year partnership with Giorgio Armani (who designed the cover of his Mozart album with Christoph Eschenbach) and performing at major media events such as France’s Bastille Day (live to 800,000 people), the Nobel Prize Concert in Stockholm (telecast across Europe), and the BBC Proms. He has appeared with the London Philharmonic Orchestra, National Symphony Orchestra, Leipzig Gewandhausorchester, Munich Philharmonic, Filarmonica della Scala, Orchestra Nazionale della Santa Cecilia, Los Angeles Philharmonic, and upcoming debuts include the SWR Symphony, San Francisco Symphony, Pittsburgh Symphony, Berlin Radio Symphony, and Bavarian Radio Chamber Orchestra. He works with conductors such as Riccardo Chailly, Vladimir Jurowski, Sakari Oramo, Manfred Honeck, Daniele Gatti, Kirill Petrenko, Krystof Urbanski, Juraj Valcuha and many others. From 2012-2015 he was resident at the Dortmund Konzerthaus and in 17/18 will be an “Artist Focus” with the Berlin Radio Symphony. His presence on social media makes Ray Chen a pioneer in an artist’s interaction with their audience, utilising the new opportunities of modern technology. His appearances and interactions with music and musicians are instantly disseminated to a new public in a contemporary and relatable way. He is the first musician to be invited to write a lifestyle blog for the largest Italian publishing house, RCS Rizzoli (Corriere della Sera, Gazzetta dello Sport, Max). He has been featured in Vogue magazine and is currently releasing his own design of violin case for the industry manufacturer GEWA. His commitment to music education is paramount, and inspires the younger generation of music students with his series of self-produced videos combining comedy and music. Through his online promotions his appearances regularly sell out and draw an entirely new demographic to the concert hall.